Brand NEW energy-efficient home ready NOW! This popular Dylan features N/S exposure, cream cabinets with rustic looking wood, porcelain plant tile throughout, and more! Double french sliders were added to the great room for a ''wow'' factor. 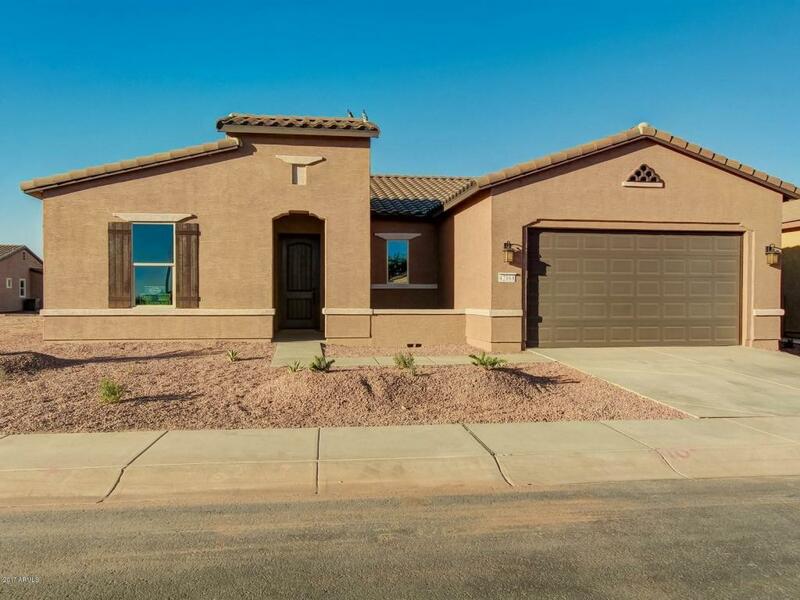 Front yard desert landscape and back yard has an artificial turn and paves for a move-in feel in a brand new home. You'll love living at Province with onsite pool, spa and fitness center, 18-hole putting green, 9 pickle ball courts, library, and ballroom. Known for their energy-efficient features, our homes help you live a healthier and quieter lifestyle while saving thousands of dollars on utility bills.